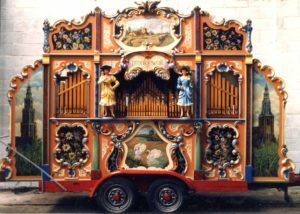 Some of the finest orchestrions ever made were produced by Weber in Waldkirch, Germany. One of the largest distributors of Weber products in “the good old days” was the firm of Gérard & Co. of Brussels, Belgium. 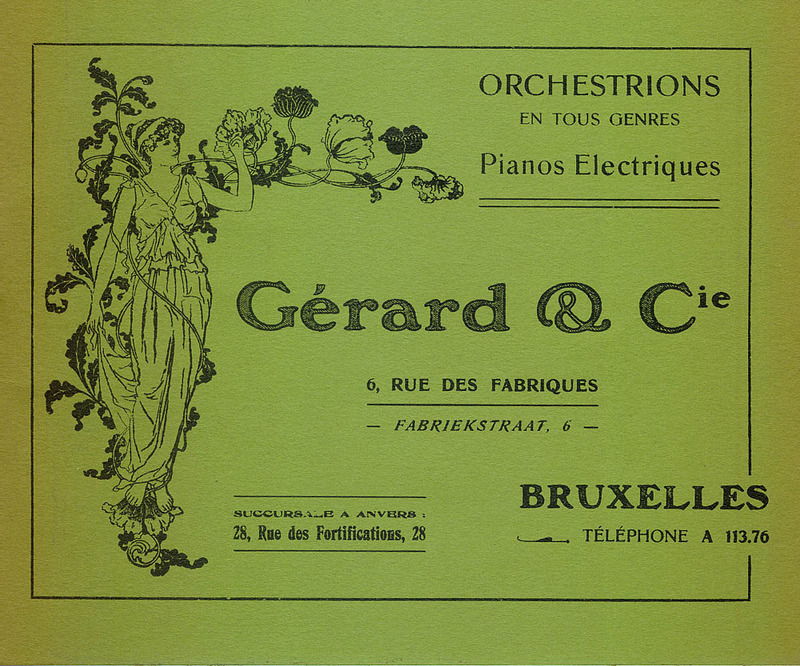 The connection between the two companies was a close one: Mr Gérard’s daughter eventually became Mrs Otto Weber! 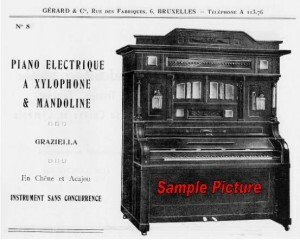 The Gérard firm published a catalogue of the various instruments it could supply to cafes, bars and restaurants. 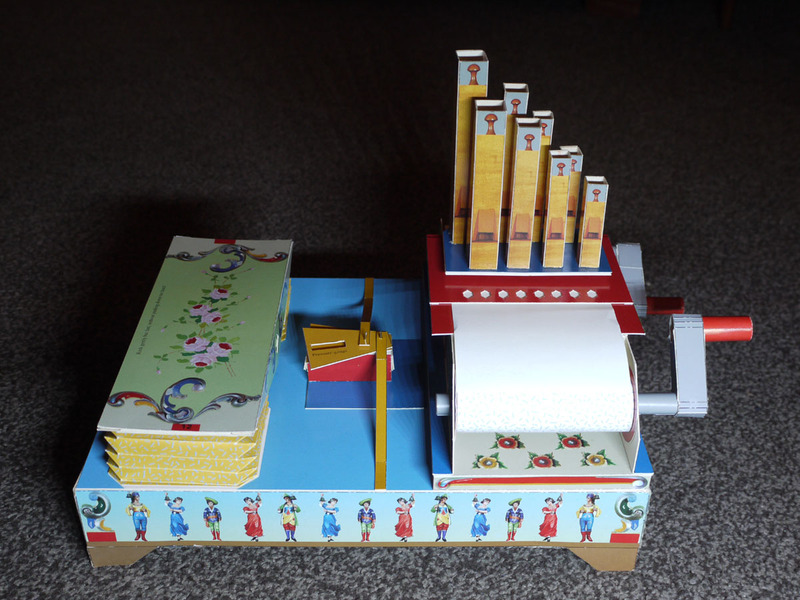 This catalogue is a valuable and rare collector’s item today. 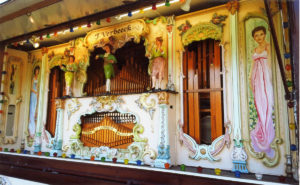 Several Weber orchestrion types including the Brabo, Styria, Maesto and Solea are described and illustrated in it. Some years ago, we were lucky enough to be able to produce a facsimile copy of this 34 page catalogue, printed just like the original and measuring 21cms x 17cms. Please Note: Stock of this item is limited.